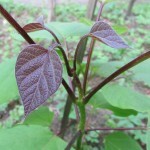 Collected in January 2019 in Lithuania (North Europe, zone 5b). 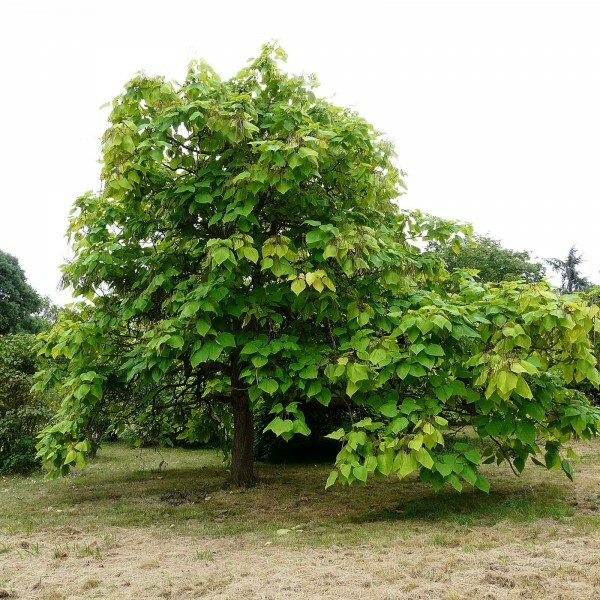 A mature, symmetrically rounded catalpa tree can be a tree of great beauty all season long: young leaves are bronze green, later - dark green and rosy pink flowers in June. Unfortunately, it is otherwise a rather coarse tree that does not always deserve a prominent place in the landscape. And in my garden in Lithuania it started to bloom in third year after sow. 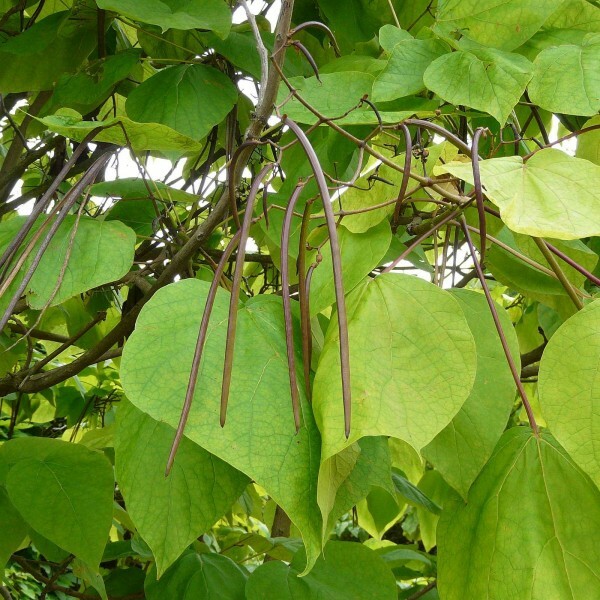 Very ornamental and can be pruned to desired shape and size. Branches are brittle and mature trees infrequently exhibit classic form. 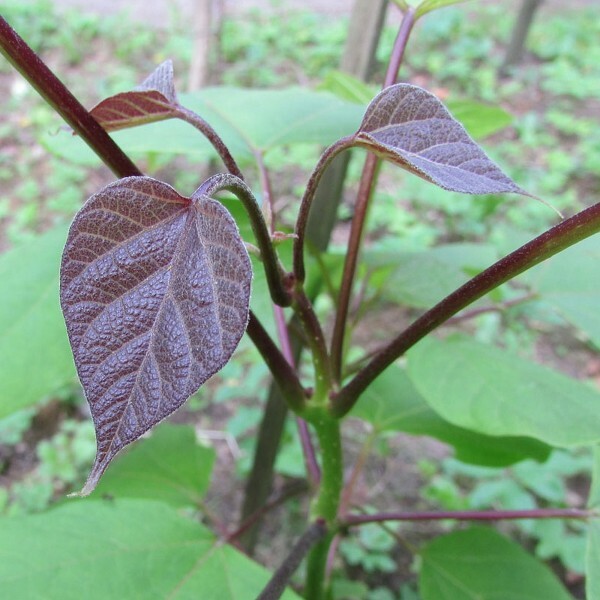 Foliage also tends to depreciate as the growing season progresses, the large leaves being subject to damage from hail, wind, insects and sometime disease. It can be effectively used in the landscape for difficult areas such as moist low spots. Sunny places with moist (not wet) soils are the best. Deciduous tree with an open rounded crown that is native to central China. 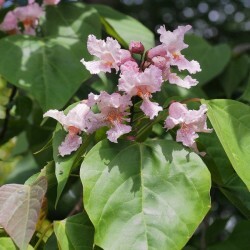 This catalpa is most distinguished by its attractive foliage and spectacular flowers. Unlobed, broad-ovate leaves with pointed tips emerge in late spring with bronze tinges, but mature to a rich medium green. Rosy-pink flowers with purple-brown spotting bloom in panicles in early summer (June). Flowers give way to extremely narrow seedpods. The seed pods mature in fall to dark brown and then split open lengthwise to release the seeds within. Germination Seeds can be soaked and sown with no pretreatment (skip Step 2), but it could increase the germination rate. 1. Soak seeds in warm water for 12-24 hours. 2. Pour the seeds into a plastic storage bag with moist and sterile sand or vermiculite and place the bag into a refrigerator that maintains a temperature of +2C (34F). Keep the seeds in this location for 3-4 weeks. 3. Fill a seed tray with potting soil. 4. Sow on the surface, cover 1-2 mm of soil or vermiculite. 5. Water the soil daily and keep it constantly moist until germination. Keep in warm and bright place (no direct sunlight). Germinates in 1-2 weeks. Tested germination rate - 90%.